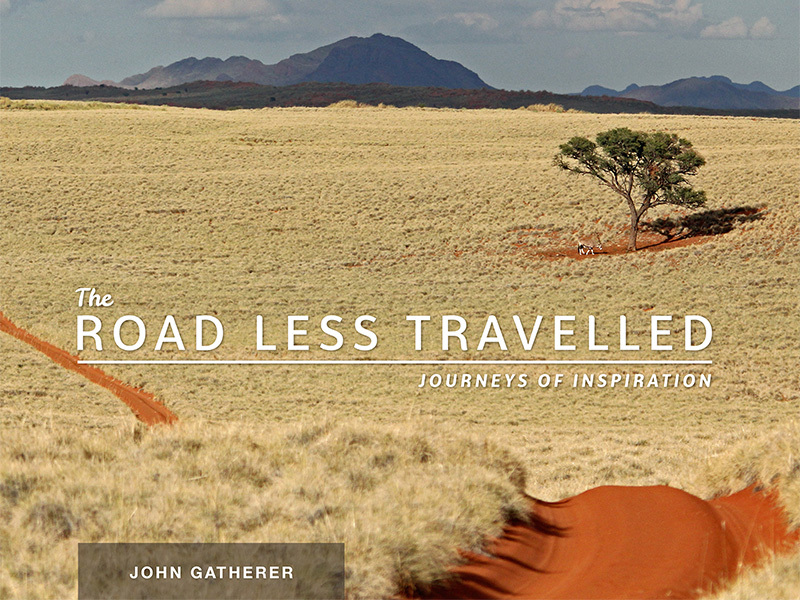 “The Road Less Travelled is an armchair opportunity to explore the globe through the lens of wildlife and travel photographer John Gatherer and his wife Anne, who have travelled extensively since his retirement from the corporate world. 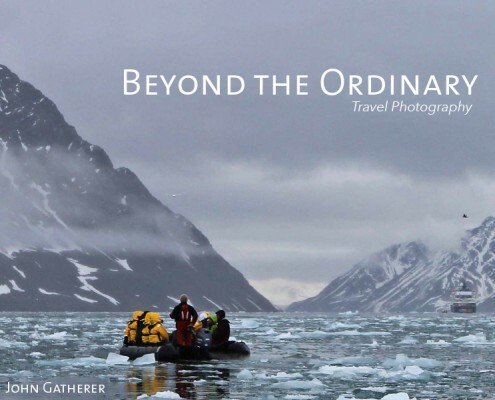 The collection featured in “Beyond the Ordinary” was a dedicated work in progress over ten years and is a product of my own “journeys of discovery.” The choice of photographs in this publication is not simply a collection of travel images from our journeys across the globe. We have also introduced the idea of creating distinctiveness to our selections by matching pairs and groups of images in which symbolism, imagery, associations, colours and contrasts are interwoven themes. We leave the interpretation and rationale regarding the relationships of photographs displayed across the pages to the imagination and discovery of the reader. The response to a photographic image involves all of our senses and stimulates us holistically in the process. 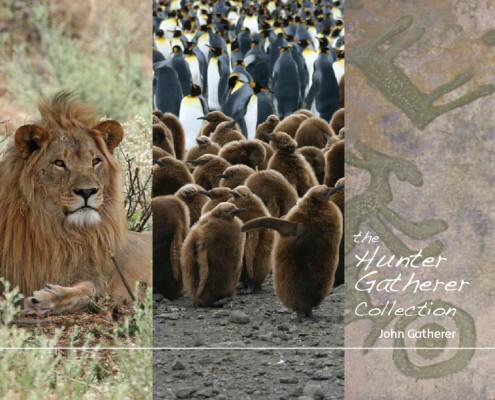 This photographic coffee table publication is aimed at providing the reader with an alluring portrait of the premier wildlife and wilderness regions across eight countries throughout Africa. The author has a huge interest in Wildlife and Nature conservation and the daunting environmental challenges and has pro-actively pursued this passion through extensive travel to wilderness areas around the world including the Antarctic, the Arctic, China, India, Canada, Australia, Scandinavia and throughout Africa. 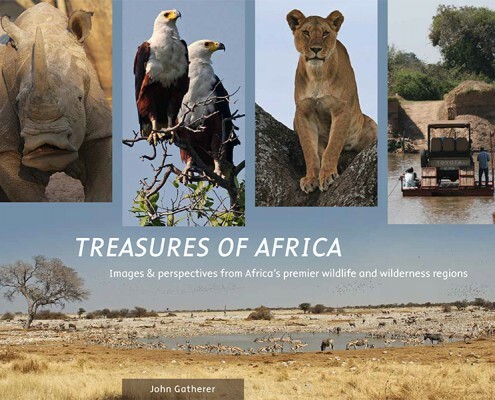 Treasures of Africa is a collection and graphical illustration of selected wildlife images and natural scenery in some of the most starkly beautiful and remote wilderness areas in the African continent. 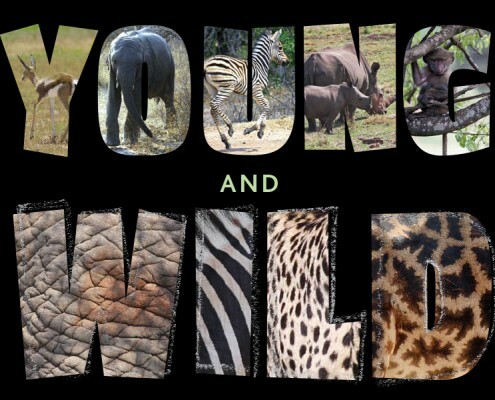 The Young and Wild is a photographic publication capturing the beauty, charm and appeal of young wildlife in their natural environment, depicting their freedom and relationships within their own groups of species as well as their survival strategies relating to the rigours of their every day existence in the wild. It is a vivid visual presentation ranging from the plight of helpless new born animals that need to immediately adapt to the threats and perils in their dangerous environment to energetic and inquisitive young sub-adults, developing their natural instincts, building their strength and honing their skills as they approach adolescence and independence. It celebrates that special universal relationship of a mother, using all her guile and creativity to shield and protect her curious offspring from the constant risk of predators preying on young animals and birds. In this book, John focuses and expounds on 12 of his most favourite destinations. 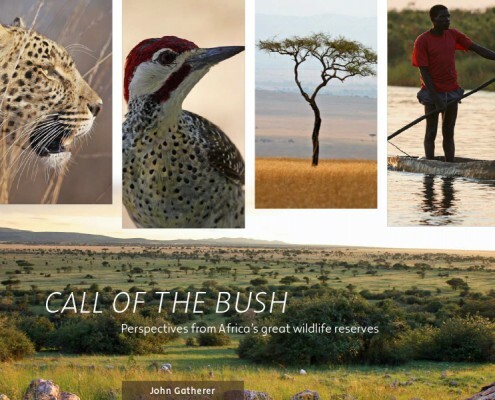 If you have been privileged to experience the sights, sounds and drama of the African bush, then you will identify with his sentiments expressed in what this book represents and of what makes a bush experience the wonder that it is. His concerns expressed in his sobering thoughts, on conservation and the difficulties associated therewith are dealt with in an insightful and sensitive way. Each destination has a helpful and concise description of what to expect and the type of fauna and flora you can observe as well as anecdotal personal memories. But it is the wonderful visual images that comprise the bulk of this book and inspire the most exciting of adventures. This book is not just a virtual trip around the astounding world we live in, but also the great inner-journey of one man. From high corporate demands to personal nirvana, it is the physical manifestation of John’s journey to find balance and peace in his life. John’s story is etched in the photos of this book. It is a story of taking time out to appreciate and be grateful for all that’s good in the world; it is a story of an adventurer brave enough to get out there and truly see with an attuned eye.